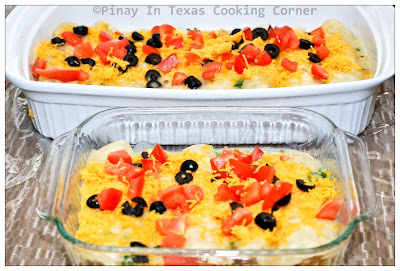 Tomorrow is May 5, and in line with Cinco De Mayo celebration, I just thought of posting one of my family's favorite Mexican dish --- Chicken Enchiladas. I found this recipe on Taste of Home magazine years ago. I've been revising it since then, omitting and adding ingredients that will best suit my family's taste buds. Last night, I came up with this one...and I used homemade tortillas! Ryan said it's a lot better than those chicken enchiladas I made before. Clarise and Cherlin both requested me to make this again "very soon"...so I guess they loved it! I'm sharing this on What's Cooking Wednesday, What's on the Menu Wednesday, Real Food Wednesday, Foodie Wednesday, Recipes I Can't Wait to Try, Let's Do Brunch, Miz Helen's Country Cottage's Full Plate Thursday and It's a Keeper Thursday. And by the way, two of my recipes are featured today on two fabulous blogs...Pecan Sandies on This Chick Cooks by Katie and Pasta With Chicken & Sun-Dried Tomatoes in Alfredo Sauce on My Sweet and Savory by Chaya. Drop by these two blogs! You won't regret what they have to offer! 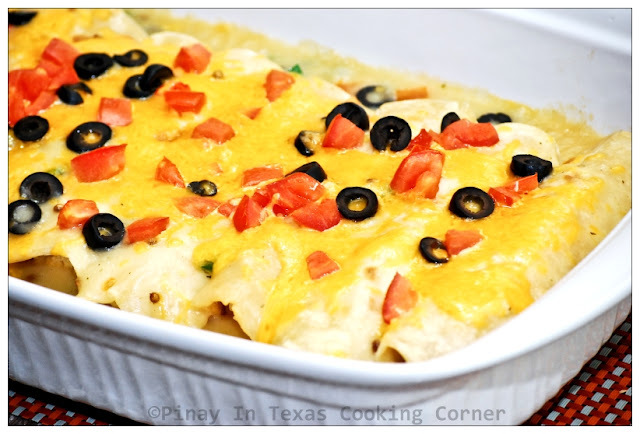 And now, here are the Chicken Enchiladas and Homemade Tortillas recipes. 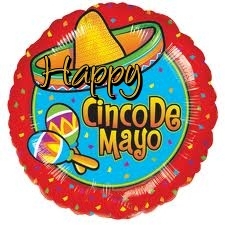 I wish you all a Happy Cinco De Mayo! Have fun! 1. Melt butter in a large saucepan. Stir in flour until smooth. Gradually add broth. Bring to a boil. 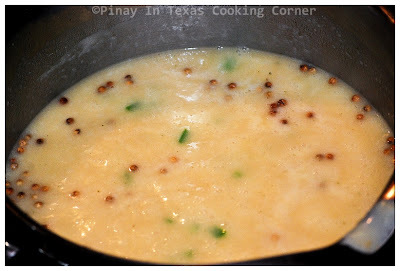 Cook and stir for 2 minutes or until thickened. Stir in coriander and half of the Jalapeño. 2. 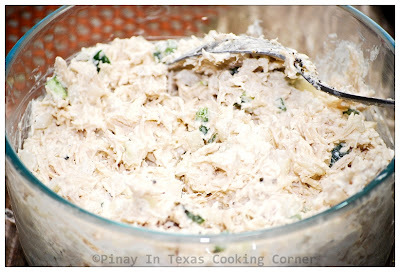 In a large bowl, combine the chicken, onions, cream cheese and remaining Jalapeño. 3. Spoon 1/3 cup chicken mixture onto each tortilla; roll up. Place seam side down in an ungreased 13” x 9” baking dish. Pour sauce over enchiladas. 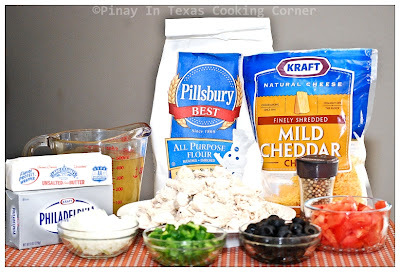 Sprinkle with cheddar cheese, tomatoes and olives. 4. Bake, uncovered, at 375° for 15-18 minutes or until heated through and cheese is melted. I know that there are lots of tortillas available everywhere...but what's better than a freshly made tortilla??? 1. In a large bowl, combine flour and salt. 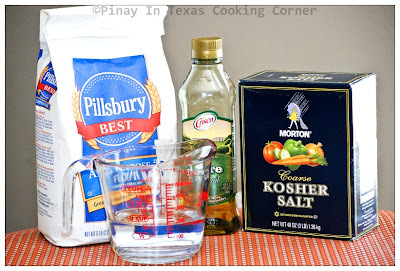 Stir in water and oil. Mix well. 2. Turn onto a floured surface. 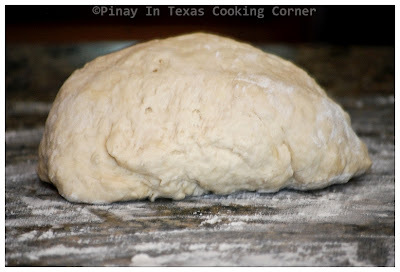 Knead 10-12 times, adding a little flour or water if needed to achieve a smooth dough. 3. 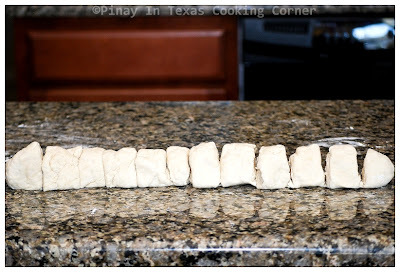 Shape dough into a log and divide into twelve portions. 4. 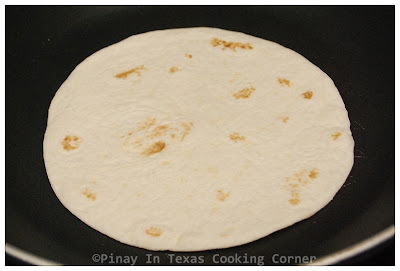 On a floured surface, flatten each portion into a thin 7" round tortilla. 5. In a large nonstick skillet coated with cooking spray, cook tortillas over medium heat for 1 minute on each side or until lightly browned. Keep warm. 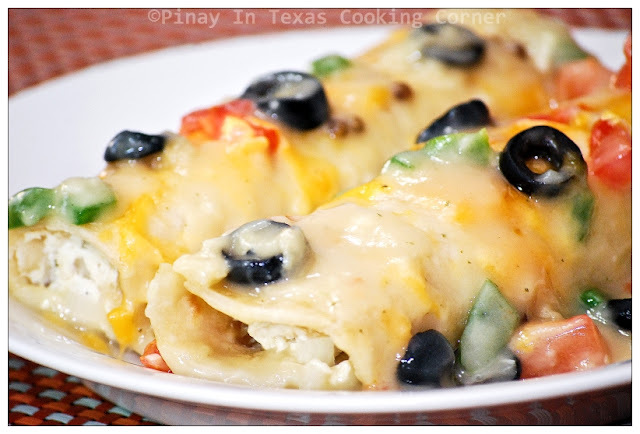 I feel like eating enchiladas right now... looks really good! Happy Cinco de Mayo! Hi Tina-I found your link through Debbie's linky, where I linked my choc.chip biscotti. Your chicken enchiladas, caught my eye, and I got to see more than "I bargained for"...oh, my, homemade tortillas, as well! So happy to find your blog, and even more happy, to follow. Please stop by blog and check it out! Tina, happy Cinco de Mayo! I just visited Nancy's site, Spicie Foodie who also did a post on the holiday...loving the festive mood! The enchiladas look amazing. 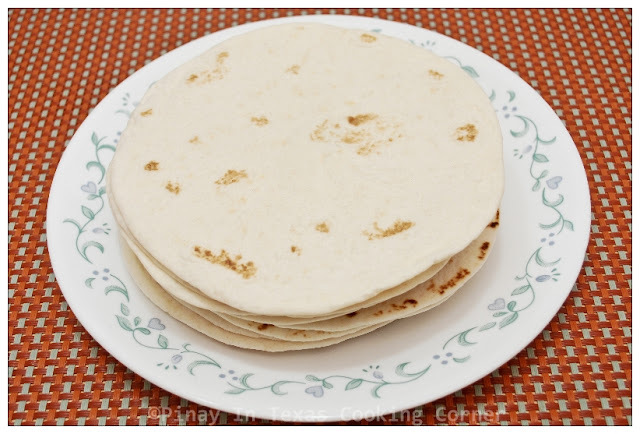 Wow, homemade tortillas! Looks delicious, my husband will love this! Hi! Stopping by from Bloggy Moms. Great blog! Nice Tina, sort of like our chapati too. Wow! This looks really good! Stopped by from Bloggy Moms. Looking forward to jamming to some of your recipes. Hi again! Swinging by once more to follow your lovely blog on GFC. Okay I am pretty impressed that you made homemade tortillas! This looks so good! Those look really good! Now I want something Mexican. I am your newest follower, your Chicken Enchiladas look awesome! I can't wait until I can have cheese again! My daughter is Lactose Intolerant, so we avoid dairy since she is still bf, at least for now. :) Take care, I look forward to reading many more of your posts. I blog about recipes too...hope you come and check them out sometime! ;) purple baby brigade. YUMMY!! I found you from your message on mommy blogs. Following. Come stop by at www.apronsandapples.blogspot.com and follow when you get a chance! It's a crafty healthy thrifty diy blog! Don't forget to FB like it! Thanks! Thanks for finding me on bloggy moms. I am a new follower. Check out my blog too. I look forward to checking out yours some more. Hi Tina, these enchiladas look so good. 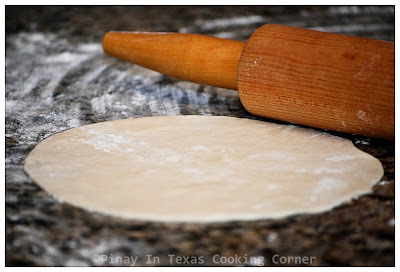 I keep telling myself I want to try making my own tortillas - I think you have just convinced me to try. BTW thanks, I feel honored that you like my recipes enough to add me to your foodies page (one of these day I hope to find time to add pages myself). Love your site. Happy Cinco de Mayo. This looks amazing..so delicious and cheesy..yummy stuff for sure!! Wow, I am so impressed with this recipe! Chicken enchiladas is enough, but with homemade tortillas?? Amazing job. 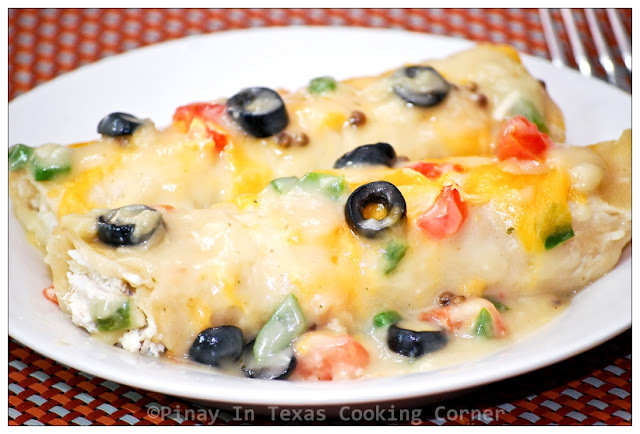 Those Chicken Enchilada's looks awesome, just in time for Cino de Mayo. Love your recipe! Thank you so much for sharing with Full Plate Thursday and hope to see you next week! Love Mexican food! Being a native Texan, I'm pretty sure it's a requirement. Thanks for linking up on Recipes I Can't Wait to Try! What lovely enchiladas - and homemade tortillas too! Fantastic! Thank you so much for sharing this wonderful recipe with Let's Do Brunch.